Web design has to be functional, as the majority of the people use the internet. Constructing attractive and effective web designs are important to create brand awareness among your target audience. 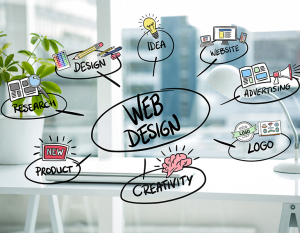 The key to an effective web design is to build your website around your business targets. For example, an e-commerce store should create a website design in a way so that it boosts its online sales with genuine product pages and sale offers. Content is the king for any website design, if you do not provide the right information to the targeted audience then you start losing visitors. An effective and appealing design may get explorers but not the real readers to your website. With good content, you can convince your reader about your products that will help in a higher rate of conversion. A good web design and development company should also focus on effective SEO activities to get in front of the targeted audiences. Search Engine Optimization is the process of maximizing the number of visitors to a particular website to increase its ranking in search results, thus content plays an important role here as well. A website’s success can be measured through keeping an intelligent check on the use of analytics. These analytics elements are like website traffic, time spent on page, entry page, domain, conversion rates and much more. A website is not useful if it does not deliver the results the organization is looking for. Thus, with keeping in mind specific factors a web design and development company can use websites to achieve your business goals.